« St Louis Existing Home Sales In August Up Over 9 Percent From Year Ago- Beats National and Regional Sales! New home construction in August increased in the midwest region of the U.S. by 10.5 percent from a year ago to a seasonally-adjusted, annual rate of 116,000 homes. 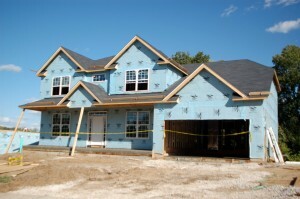 August new home construction activity in the midwest was up 6.4 percent from the month before as well when homes were constructed at a rate of 109,000 homes per year. This according to a report released today by the U.S. Department of Commerce. In terms of actual (as opposed to seasonally-adjusted annual rates) new home starts, year to date there have been 80,000 new homes started, an increase of 13.6% from the same time last year when there were 70,400 new homes started. On a national level, in August 2016, construction was started on new homes at a seasonally-adjusted, annual, rate of 722,000 homes, a decline of 6.0 percent from the month before and a decline of 1.2 percent from August 2015 when homes were started at an annual rate of 731,000 homes.